War Grave Register notes: SULLIVAN, Tpr. George, 1732. 2nd Australian Light Horse. Died of wounds 4th Aug., 1916. Age 19. 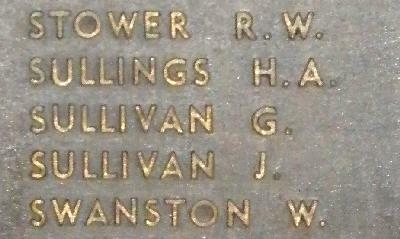 Son of Eleanor Sullivan, of Golf St., Chelmer, Queensland. Native of Charleville, Queensland. B. 27.